ANDERS BEHRING BREIVIK’S defence lawyers say the confessed mass killer won’t appeal if he’s sentenced to prison but he will challenge any ruling that declares him insane. Breivik’s mental state will be the focus when the Oslo district court presents its judgment against Breivik tomorrow for the bomb and gun attacks that killed 77 people in July 2011. After speaking to Breivik on Thursday, defence lawyer Geir Lippestad said his client would accept a prison sentence and would only appeal if committed to psychiatric care. Breivik, who claims he is a “militant nationalist,” said during the trial that being sent to an insane asylum would be the worst thing that could happen to him and accused Norwegian authorities of trying to cast him as sick to deflate his political views. After deliberating for two months, a five-judge panel in Oslo’s district court will decide whether to send the right-wing extremist to prison or a mental hospital. Breivik, a 33-year-old Norwegian on a mission to expel Muslims from Europe, set off a car bomb that killed eight people outside government headquarters in Oslo and he then killed 69 others in a shooting rampage on Utoya island, where young members of the governing Labour Party had gathered for their annual summer camp. Breivik says he would appeal an insanity ruling but accept a prison term. 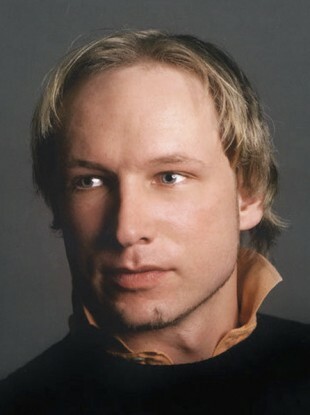 Q: Is Breivik’s guilt in question? A: Essentially, no. He has admitted to the attacks and nothing in the criminal investigation suggests there was anyone else involved. He rejected criminal charges out of principle, saying he doesn’t recognise the court’s authority because it represents a political system that supports multiculturalism. But that argument is highly unlikely to sway the court, and the same goes for his claim that the killings were justified to protect Norway from becoming overrun by Muslims. Breivik did not spend much time on this argument during the trial, focusing instead on trying to prove that he is a political terrorist rather than someone who is mentally ill.
A: Since an acquittal is virtually off the table, the key question for the Oslo court to decide is whether Breivik is sane enough to be held criminally responsible for the attacks. If declared insane, he will be committed to involuntary psychiatric care indefinitely. If found mentally fit, Breivik will most likely be sentenced to “preventive detention.” Unlike a regular prison sentence — which can be no longer than 21 years in Norway — that confinement option can be extended for as long as an inmate is considered dangerous to society. It also offers more programmes and therapy than an ordinary prison sentence. Norway, like most of Europe, doesn’t have the death penalty. A: Regardless of the sentence, Breivik will be taken back to Oslo’s Ila Prison, where he has been held in isolation for most of the time since his arrest. The prison has built a psychiatric ward just for Breivik in case he is declared insane. But even if he is, he wouldn’t be placed in that unit if he immediately appeals the insanity ruling, said prison spokeswoman Ellen Bjercke. She said he would only be transferred to the psychiatric ward once the judgment is final, that is, all appeals have been exhausted. Q: What are the conditions like at Ila? A: Norway takes pride in its humane penal system, and living conditions in Norwegian prisons are probably far better than in most other countries. For example, other prisoners at Ila have access to school that offers courses from primary grade to university level courses, a library, a gym, work in the prison’s various shops and other leisure activities. However, because Breivik is held in isolation, he doesn’t have access to those things. In compensation, Ila has given him three cells instead of one. Each is about 86 square feet (8 square meters.) One has gym equipment, another has a bed and the third a desk with a laptop computer. For at least one hour a day, he has access to a small courtyard covered by barbed wire. Prison officials have been more secretive about the psychiatric unit. Bjercke said Breivik would be guarded night and day by a medical staff of 17 in a ward where he is the only patient. Norwegian health authorities, in approving the ward, specified that it must provide access to fresh air, as well as a restraint bed with straps. A: Legal experts say it’s unlikely Breivik will ever be released but no one can say for sure. One thing is certain though: it won’t happen for as long as Norwegian authorities consider him dangerous to society. In theory, a patient committed to involuntary psychiatric care should be released if he recovers from the mental illness, but if he’s still considered dangerous, he can be transferred to prison under a rarely used Norwegian law. If sent to prison, Breivik could challenge a “preventive detention” sentence every five years. One of the reasons Breivik’s attacks were presented in such gruesome detail during the trial was so that the horror of Oslo and Utoya would be well-documented for the day Breivik asks to be released. “Legally speaking, he could of course theoretically be a free man in some years. But realistically speaking he would be incarcerated for perhaps the rest of his life,” said Lasse Qvigstad, a former Oslo chief prosecutor. A: In Norway, both prosecutors and the defendant can appeal all or parts of the ruling. Breivik’s lawyer said Thursday that he will appeal if he’s declared insane but would accept a prison term. An appeals trial would likely be held early next year. “He is very clear that if he is deemed insane, he will appeal, and appeal on the spot,” defense lawyer Geir Lippestad said. Q: So why does Breivik want to be sent to prison? Wouldn’t he get off easier with an insanity ruling? A: Breivik wants to be seen as a political terrorist, or as he calls himself, a “militant nationalist.” During the trial he said that being sent to an insane asylum would be the worst thing that could happen to him and accused Norwegian authorities of trying to cast him as sick to deflate his political views. His lawyers say Breivik is already at work writing sequels to the 1,500-page manifesto he released on the internet before the attacks. Email “Breivik will challenge any ruling that declares him insane”. Feedback on “Breivik will challenge any ruling that declares him insane”.